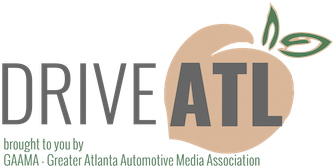 GAAMA is pleased to invite our members to the third-annual Family Car Challenge at Lake Lanier Islands Resort. DEADLINE FOR REGISTRATION IS FRIDAY, APRIL 29. Media members receive a complimentary stay at Legacy Lodge on the night of May 12. GAAMA's reserved block of rooms ends April 12. After April 12, room availability is first come-first served. Register promptly for the best availability. In each of its first two years, Family Car Challenge introduced dozens of GAAMA's media members to the newest products from top brands. This year will be even better. Accommodations for non-media members can be arranged through Legacy Lodge. Call 770-945-8787 to book a room under GAAMA's group discount, or book online. Categories and judging criteria have been expanded this year to include an award for Best Family Pickup Truck. Prepare for this year's Family Car Challenge by reviewing the new categories and criteria.